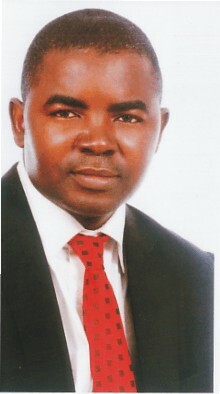 Samson Itoje is a real estate investment consultant based in Lagos Nigeria. He is a property investment consultant whose focus is to help potential real estate investors understand the value of investing in properties with high return on investment. And he works in the best interest of investors within and outside Nigeria, home and abroad. Thinking of investing in Lagos Nigeria real estate? Simply have a chat with Samson Itoje. If you're based outside Nigeria, use 2347086459367 or 2348057912607. Get A Unique Perspective. Make More Money From Property For Sale In Lagos. Here's why you should endeavour to consult Samson Itoje when buying your next property. Samson Itoje is a real estate investment consultant that offers a unique perspective. When you follow the guidance of Samson Itoje (and purchase property through him), you're likely to end up with a property in a part of Lagos Nigeria that is likely to make you more money. The truth is this . . . thousands of Nigerians living in Nigeria (and even overseas) make a fundamental mistake when they decide to buy property in Lagos Nigeria. They simply call their friend or relative in Nigeria and tell them to help them get land (or building) for sale in a location near where they live or in some other neighbourhood where their friends already bought from. Simple. The friend or relative they have commissioned to help them get a property is not a real estate consultant and, therefore, doesn't have the varied knowledge and experience that a practicing real estate consultant has when it comes to purchasing property. The sad reality is this . . . many people who buy property through their friend or relative end up buying property without good title or property with very low return on investment. Samson Itoje is a trustworthy and reliable Lagos real estate investment consultant and the MD & CEO of Erimama Investment Company Ltd. He is a property investment consultant that is focused on customer satisfaction. Samson Itoje and his team will help you secure properties for sale with the right title and with potential for high return on your investment. Want to buy property in problem-free locations? Want to double or triple your the returns on your property investment within a short period of time?